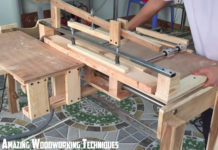 A table saw outfeed table based upon a folding sawhorse design. Seems like an easy universal table. I can see a few of these being made for family get-togethers and stored in a closet when not in use. Rex got creative with a plywood challenge and made a beautiful plywood bowl. I really like the narration with the video as he told the story quite well. And he’s got a unique piece that is definitely a conversation starter. This is a really good reference video to bookmark if you ever want to make a concrete top table. Pete explains all of the steps quite well in this one. I have no idea what he said but the process was interesting. A basic set of tools and some time and effort yield a beautiful plane that will last generations. A beautiful take on an old tool. 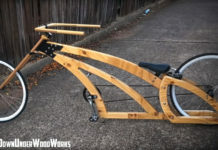 This would be an enjoyable weekend project for anyone interested in woodworking. Here’s another one from the same maker. This time making a spokeshave. Also, another weekend project for anyone interested in woodworking. 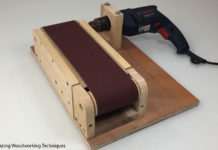 I really like his bow sander he used. I really like how he explains everything that’s going on with his build and his positive energy is welcomed. Great job on the build as well. I’m looking forward to seeing this one complete. All of Jon’s projects and videos present a feel of professionalism or craftsmanship. All the little details buttoned up with a clean and complete feel to the projects. I’m seriously thinking about making one of these sign posts for my own home. What do moles in the yard and Celine Dion have in common? Nothing, apparently. Definitely a unique approach. Sean did a great job explaining his blanket chest build. It looks fantastic and I love the contrasting base. Well done man! 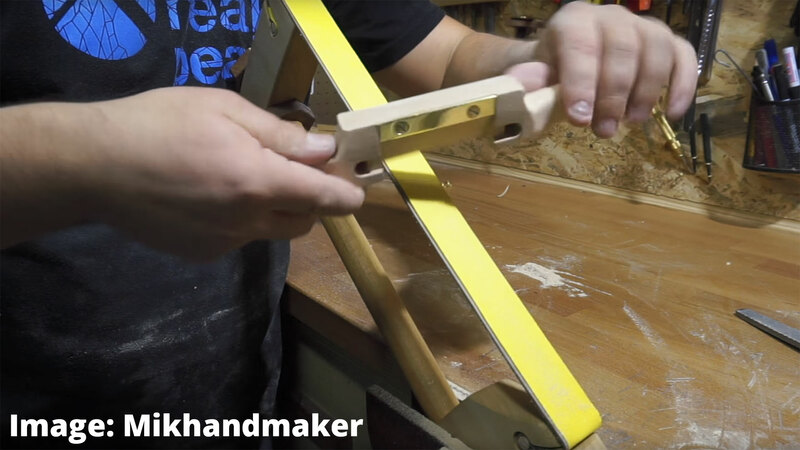 What is the name of the music in the spokeshave video? I learned some good techniques from that video.